The number of victims varies between 2,000 and 5,000. 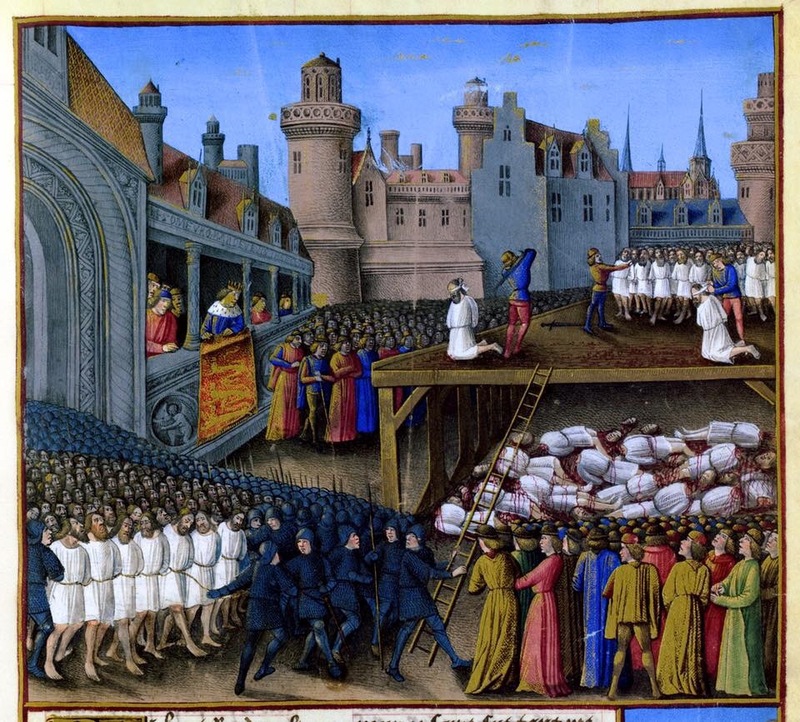 Also, the motives behind the executions vary, either for revenge of Christian deaths or because King Richard believed it unwise to leave a city with so many prisoners left alive. One account claims 3,000 died when Saladin (full name An-Nasir Salah ad-Din Yusuf ibn Ayyub), the first sultan of Egypt and Syria, stalled a negotiation with King Richard in hopes an approaching Muslim army would arrive to assist. The negotiation in question involved Richard’s demand of relinquishment of the True Cross (the reputed actual cross Jesus Christ was crucified upon), Christian prisoners, and a ransom in exchange for the Muslim captives. When Richard recognized the tactic, he gave Saladin a one-month deadline to accept the negotiations. When the deadline arrived, Richard had the proposed execution carried out. According to Muslim sources, none were spared execution, including women and children. Christian accounts report no non-combatants were executed.